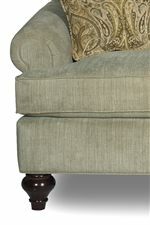 Functional and fashionable, this loveseat incorporates traditional style elements and modern day comfort all-in-one. 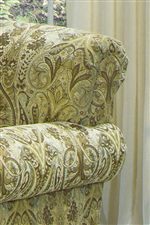 Its rolled arms and turned wood legs offers a rich, classic style, while its sinuous wire springs and high-resiliency foam cushions create a soft and supportive seat for 2 people. 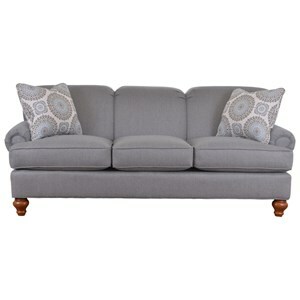 The perfect accent for your formal living area, you can't go wrong with this elegant stationary loveseat. The 7047 Traditional Loveseat with Turned Wood Legs by Craftmaster at Jacksonville Furniture Mart in the Jacksonville, Gainesville, Palm Coast, Fernandina Beach area. Product availability may vary. Contact us for the most current availability on this product. 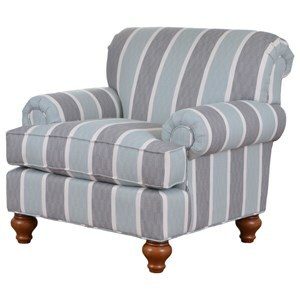 The 7047 collection is a great option if you are looking for Traditional furniture in the Jacksonville, Gainesville, Palm Coast, Fernandina Beach area. 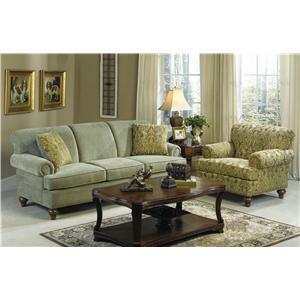 Browse other items in the 7047 collection from Jacksonville Furniture Mart in the Jacksonville, Gainesville, Palm Coast, Fernandina Beach area.